Earn up to 940 reward points. 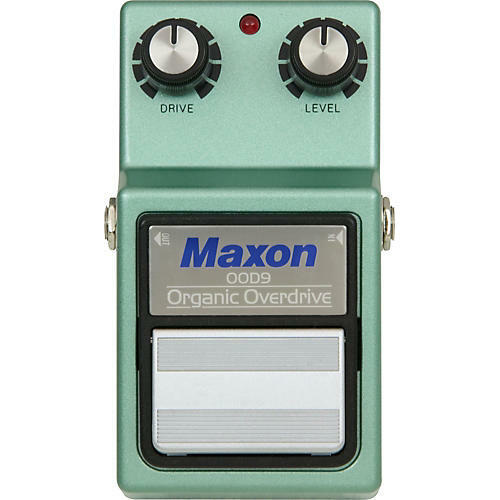 The Maxon 9-Series OOD-9 Organic Overdrive is an updated version of Vintage OD880--the last of the legendary overdrives! Features the JRC4558 IC Chip. Amazingly Transparent, dynamic overdrive with no compression and true bypass switching. Since their introduction in the early 1980's, Maxon 9-Series stombox designs have achieved a legendary, almost mythical status with guitar effect pedal connoisseurs around the globe. The reasons for this are simple--superior sound quality and innovative features that offer a seamless interface between performer and performance--nothing more, nothing less. 20 years later this rule still holds true. Now available with improved circuitry including true bypass switching, Maxon 9-Series effects pedals remain the standard by which all others are judged. Experience the power of nine - Maxon 9-Series guitar effects.